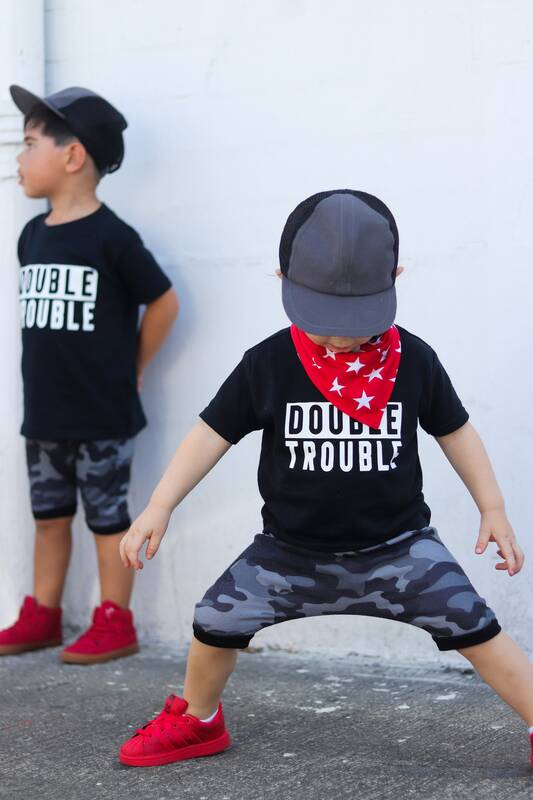 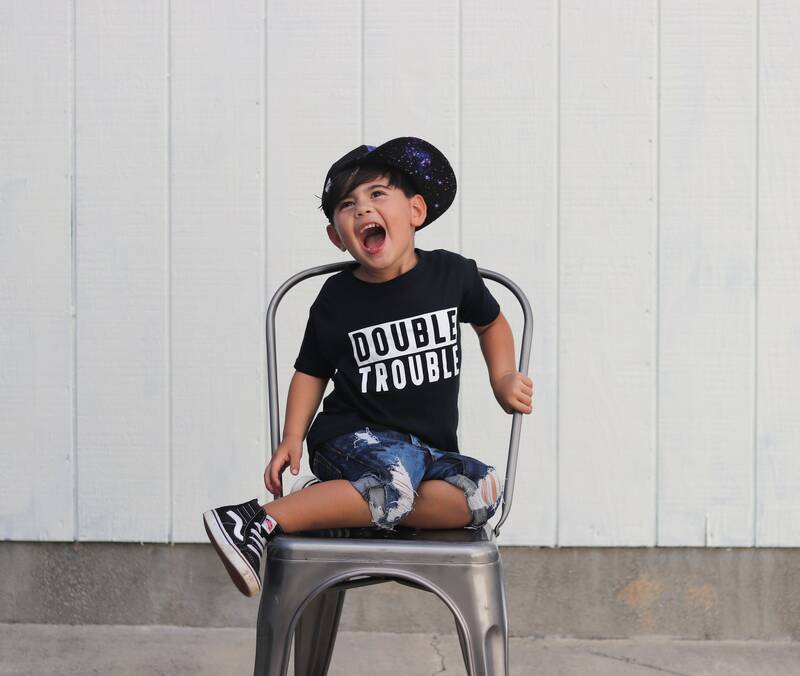 Double Trouble printed on the font. 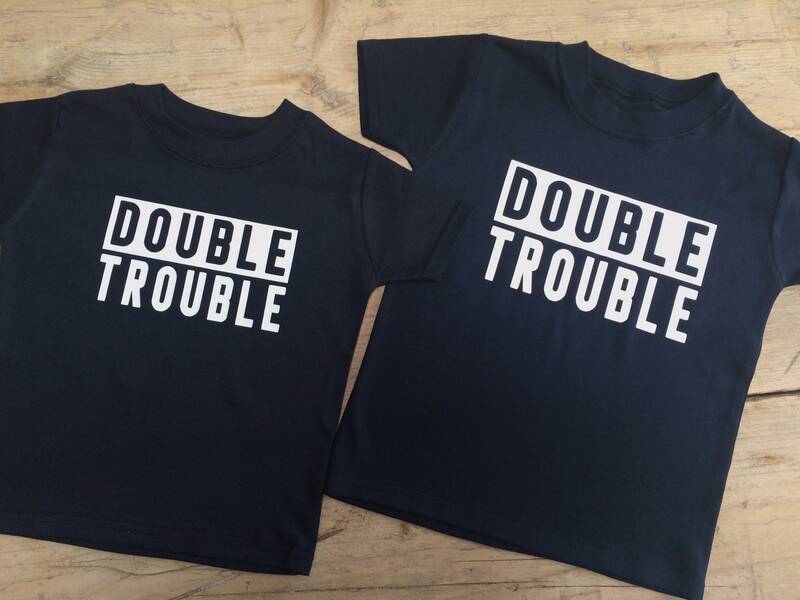 If you do not let us know what colour tee you would like we will choose. 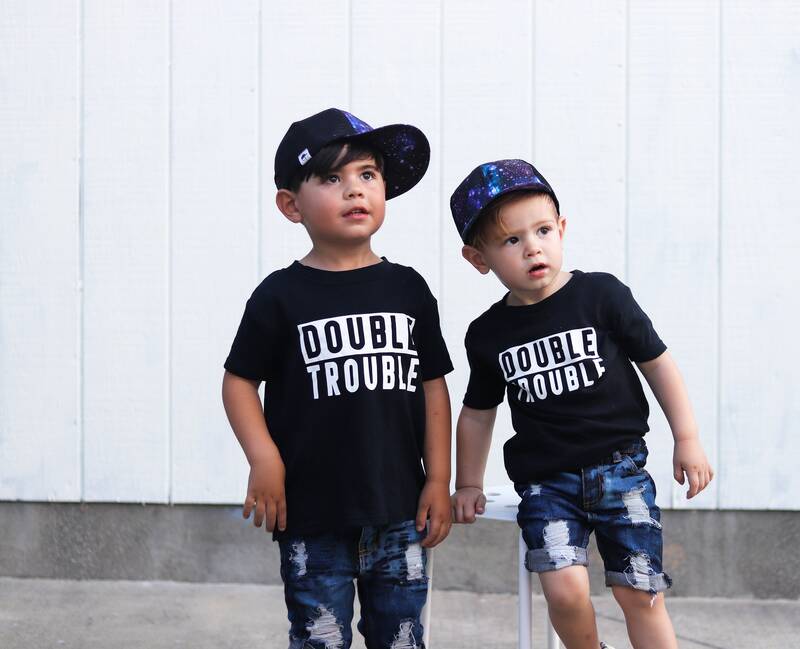 Perfect for siblings or besties!